We are here for you! We can fill large juice orders for you or your business at a reduced bulk pricing rate. 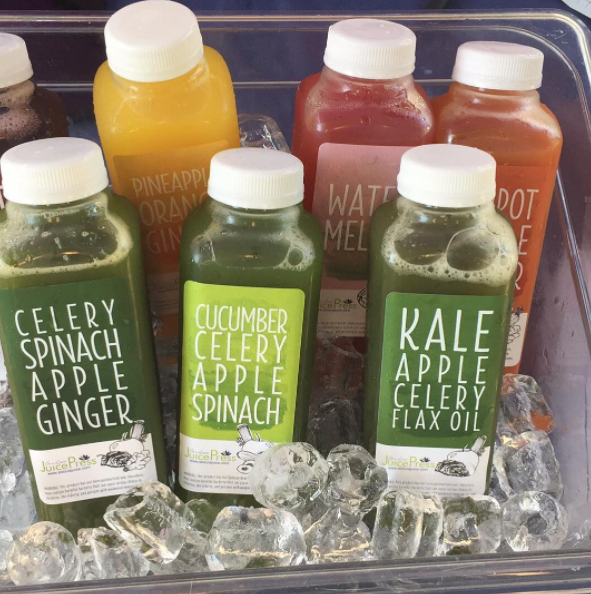 Juices are delivered to your event in individual 16oz bottles in any combination of the flavors listed on our menu. For custom flavor requests please contact the shop. We also can provide individually packaged 3oz shots in two flavors: fresh ginger juice or our signature Sweet Heat shots (ginger, turmeric, honey, lime). We cater to a variety of groups and events including parties, weddings, conferences, sports teams, clubs, meetings, and conventions. Please give us a call at (314) 771-1866 or send an email our catering manager at jessica@everybodyheal.com with any questions or to place an order.